If books figure into your holiday gift-giving plans, then we've got a little something for you -- a meta list of the best books of 2012. It's now December, the final month of the year, which means that newspapers and magazines can start taking stock of 2012 and declare their favorites. The New York Times Book Review announced The 10 Best Books of 2012 this weekend, just a few days after naming the 100 Notable Books of 2012. Some familiar names appear on the winnowed down list -- Robert Caro, Dave Eggers and Zadie Smith -- but I'm most tempted by Jim Holt's Why Does the World Exist? 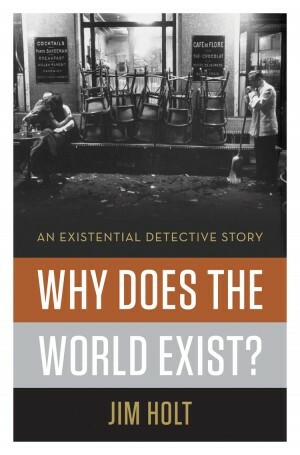 : An Existential Detective Story. The question has crossed my mind lately. The Washington Post boils down three lists -- The Best Graphic Novels of 2012, 50 Notable Works of Fiction, 50 Notable Works of Nonfiction -- to one. Behold The Top 10 Books of 2012. Fiction-wise, I'm not blown away by the picks. But, when it comes to Nonfiction, they're on the mark with House of Stone: A Memoir of Home, Family, and a Lost Middle East by Anthony Shadid, the award-winning New York Times journalist who died earlier this year in Syria. You can find more good reads with "Best of" lists created by NPR, Publishers Weekly, Esquire, HuffPo and The Guardian. And if you're looking for a deal, don't miss this: Amazon.com is now offering 40% off books appearing on its list of 2012 Editors' Picks. Meanwhile Audible.com has produced its own list of favorites, and it's worth highlighting if only because, when you sign up for a Free Trial, you can download one of their selections (or pretty much any other audiobook you want) for free. Learn more and initiate the free download here. Now my dear fellow readers, it's your turn. We want to hear what books (published in 2012) left the strongest impression on you. Give us your thoughts in the comments section below and we'll publish the Open Culture Best of 2012 list later this week. We look forward to hearing your picks! The thing with these lists is you have to go back and try figure out which of the books you read was actually released in 2012. Most of the books I read were somehow released a couple of years back. That said, I really enjoyed reading The Humorist by Russell Kane. Dark but funny. I love that kind of stuff. I’m reading ‘Thomas Jefferson: The art of Power’ by Jon Meacham. Although haven’t finished it yet, but it seems to be a well-researched book with impartial and fair narrative of his life. And the more I read, the more I’m impressed by the man. Edward S. Popko’s book “Divided Spheres: Geodesics and the Orderly Subdivision of the Sphere” is a readable design sourcebook for spherical design work. Many, many gorgeous color images. The Strategic Intelligence of Trust, Non-fiction. No life would or could have evolved without a strategy, no strategy without intelligence, no intelligence without trust. The Collective by Don Lee was amazingly engaging; I still think about it and it’s been months (and several books) since I’ve read it. Highly recommended. Katherine Boo Behind the Beautiful Forevers was the most enjoyable, enlightening book I read this year. The Craving and the Cross is a bold political thriller. The villain is a CEO who has achieved incredible financial success. He lives without limits. Beautiful women submit to his desires and men want to be like him. He lives an enviable life of power, passion and intrigue. He appears to have achieved his every desire but feels unfulfilled. He cannot accept aging, death and the eventual loss of his wealth and power. His greed will not allow him to die. He is approaching age forty and has become consumed with finding the key to immortality. Our hero Joe is a homeless man, who loves virtue and believes that God speaks to him. He tries to share his wisdom with anyone who will listen but swarms of people ignore him as they busily rush to work. One day Joe is standing across the street from a bank when two men exit. Both men have taken a hostage. They have their guns drawn and their arms around the women’s necks. He crosses the street, moving quickly toward the gunmen. The first gunman fires, he misses twice. Joe continues to move toward them. The second man fires. His gun jams. He throws it at Joe it misses him. The gun goes off as it hits the ground. The bullet shatters a glass window as Joe continues to move forward. The gunmen hear sirens. The hostages wiggle free and the men run to their car. An Anchorman at the scene of the robbery interviews Joe. He becomes a media sensation. Many viewers speculate that Joe may be the world’s next savior, an authentic hero who can perform miracles. Others say he is a schizophrenic and a heretic. His harshest critics are from Wolf News, one of the companies owned by the villainous CEO. He fears Joe’s message and thinks it antithetical to mindless consumption that his businesses require. He tries to destroy our hero until he discovers that Joe is a key to his quest for immortality.